Nordavia Regional Airlines Boeing 737-53C VP-BRG (msn 24826) AYT (Ton Jochems), originally uploaded by Airliners Gallery. 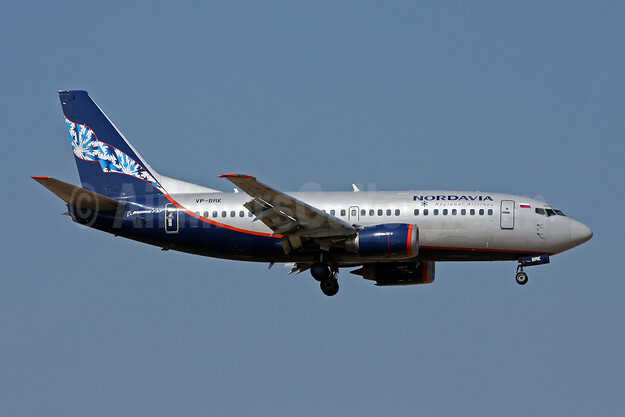 Nordavia Regional Airlines (Arkhangelsk) will add the Norilsk-Krasnojarsk route (twice weekly) starting on November 1 according to Airline Routes. Copyright Photo: Ton Jochems. Please click on the photo for the story of this Russian airline. This entry was posted in Nordavia Regional Airlines and tagged Nordavia Regional Airlines on October 17, 2011 by Bruce Drum.